to create opportunities with the potential to impact the world positively. and an impeccable track record within the international voice carrier industry. CHT Holdings identifies emerging technologies within the industries we serve. Our proprietary platforms are under constant refinement as we relentlessly pursue excellence. to our environment, community, and society as a whole. Become a multinational group of companies leader in Social Responsibility actions worldwide. 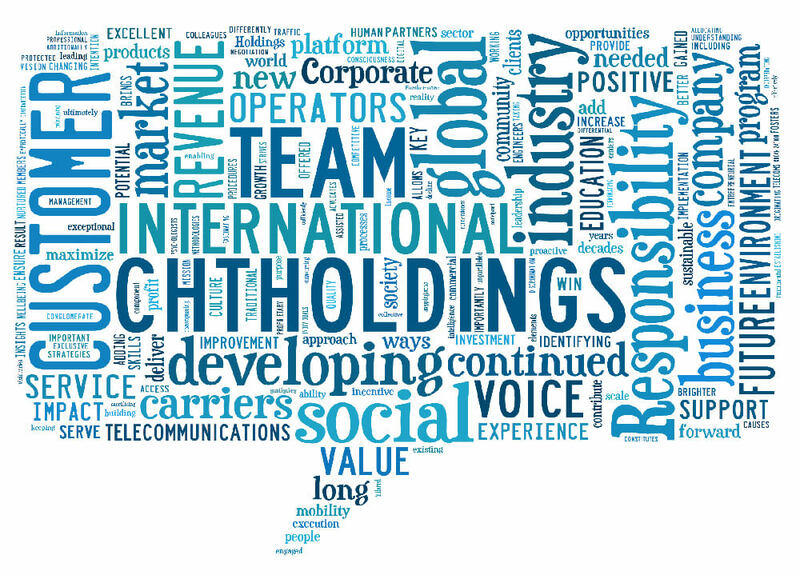 CHT Holdings’ fundamental reason for existing is to add value, increase profit, and contribute to the well-being of society through our global corporate social responsibility platform. Our strong background in software development, computer engineering, and forward-thinking business models fuels our continuous development of technological solutions. CHT Holdings emphatically pledges to nurture an innovation-centric corporate culture, designed to promote and develop the creativity of each team-member maximizing their ability to meet the needs of a fast-changing environment. With over two decades’ experience developing products within the telecommunications, educational, and social media sectors, CHT Holdings possesses the skills and knowledge to lead our team into the fascinating future of Internet of Things (IoT). CHT Holdings is diligently works to bridge human-machine communication and mobile devices. We believe this is the key to a brighter future in which technology will close social, travel, health, educational, and access to information gaps, and create better conditions for all citizens around the world.